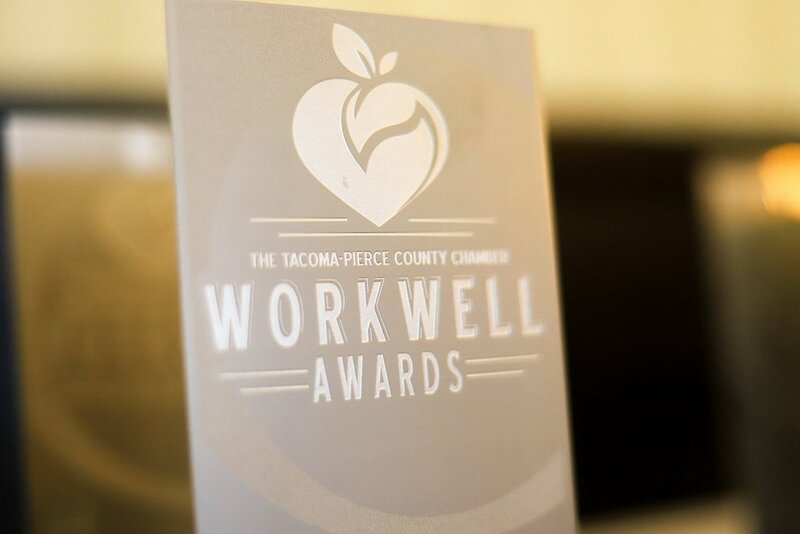 On Friday, February 8, 2019, the Tacoma-Pierce County Chamber celebrated winners of their annual WorkWell Awards. These awards recognize employers who encourage healthy workplaces by empowering their employees to embrace wellness via benefits, incentives, and various other programs. The Doty Group received a Gold award for promoting healthy eating, physical activity, and a tobacco-free environment. The Doty Group staff gets together for lunch break walks, weekend running, and trips to the gym. They also have a group that gathers every afternoon for planks. Among the benefits of working at Doty is the supply of break-room snacks. Options for healthy snacks supplied are fruits, eggs, veggie trays, protein bars, sugar-free drinks, and more. 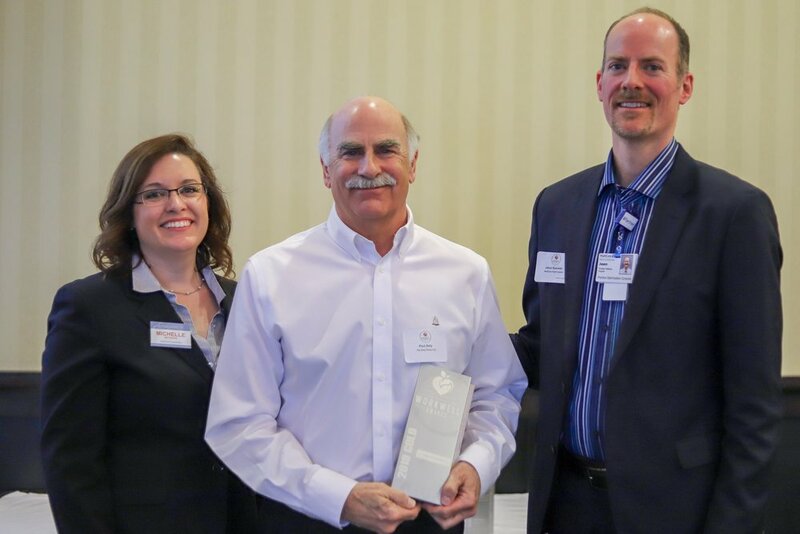 The firm also received Gold in the “Happy Heart” category which recognizes employers for demonstrating a broad and long-term commitment to overall employee health and well-being. As the firm’s mission includes “enhancing the well-being for our people,” we believe it a great fit! Just a few highlights for this wellness category include the recent implementation of an Employee Assistance Program from Magellan which offers health and counseling programs, among many other resources. The program offers advice and support for wellness in the workplace and beyond. The firm’s health insurance also offered a $100 incentive for completing a wellness program, which also lowered the amount of the premium for which an employee was responsible. Because accounting can be such a high-stress environment, The Doty Group has always taken extra measures to listen to what employees want in regards to wellness and activities to reduce stress. A massage therapist visits the firm once a week so that employees can take a break from the work day to have a session of relaxation. This tax season, there’s even the addition of a room with puzzles, coloring books, and other activities to fight the burnout. Congratulations to our fellow winners! To learn more about other Chamber awards, visit their website here.